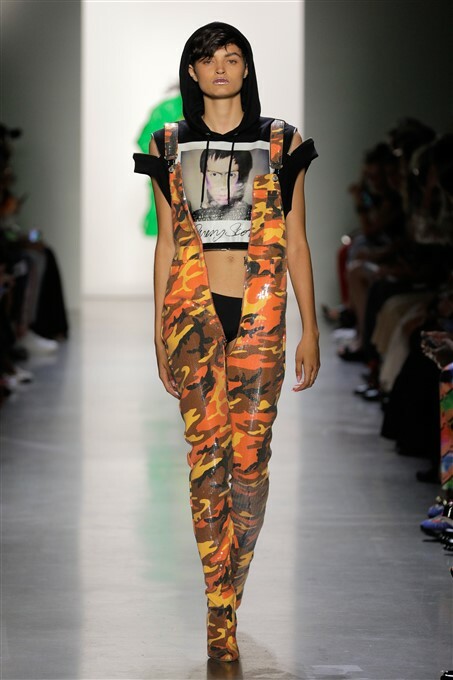 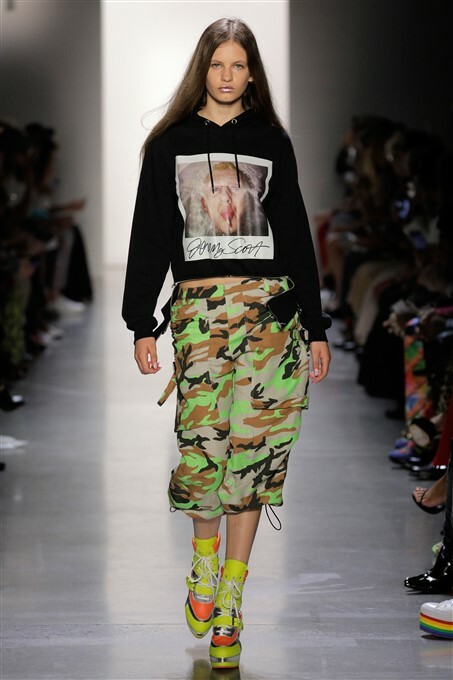 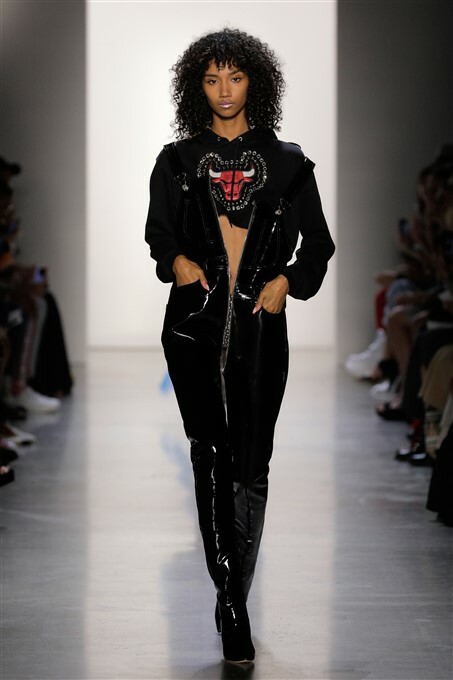 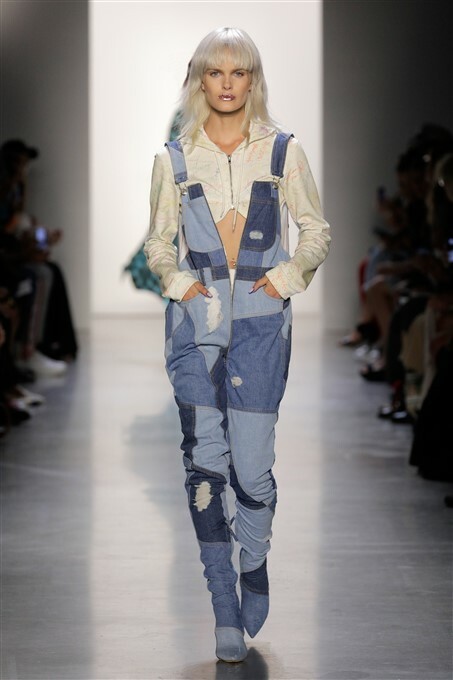 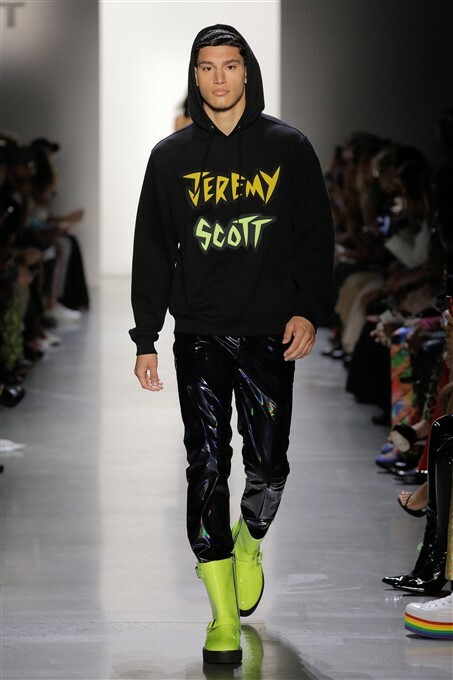 NYFW: Jeremy Scott imagines a runway collection in a gender fluid postmodern world. 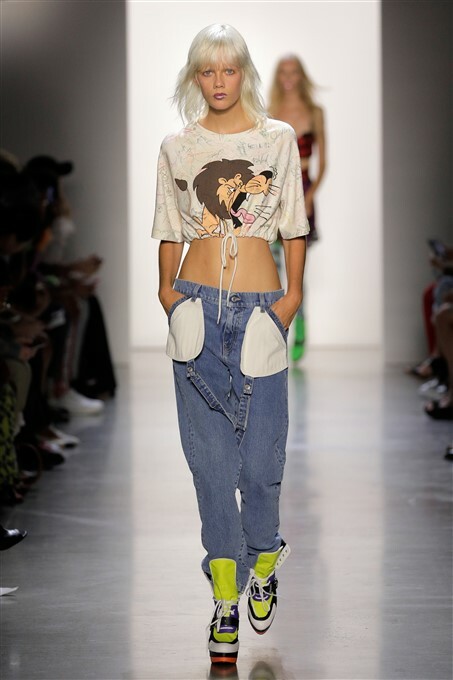 Rewind to 1996 New York City, where fashion design student Jeremy Scott imagines a runway collection in a gender fluid postmodern world. 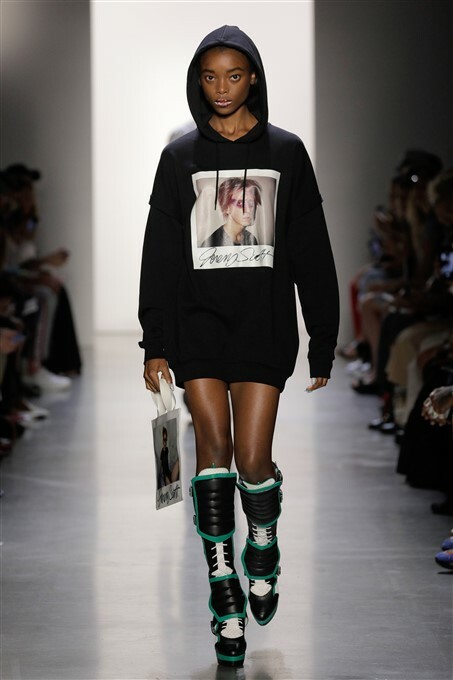 He takes Polaroid self-portraits experimenting with different makeup compositions, poses, and identities. 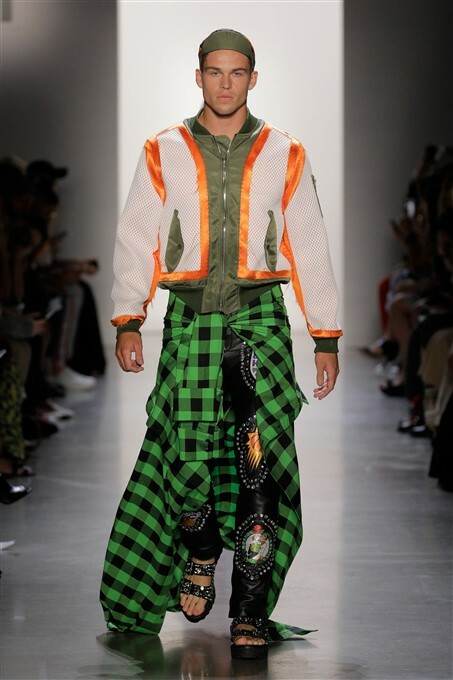 His looks are influenced by a spectrum of icons from Daryl Hannah’s character, Pris in Bladerunner, to can-can dancers in the paintings of Toulouse Lautrec. 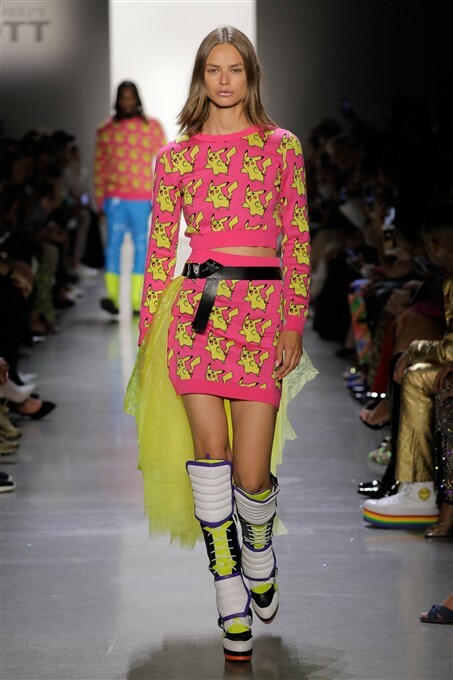 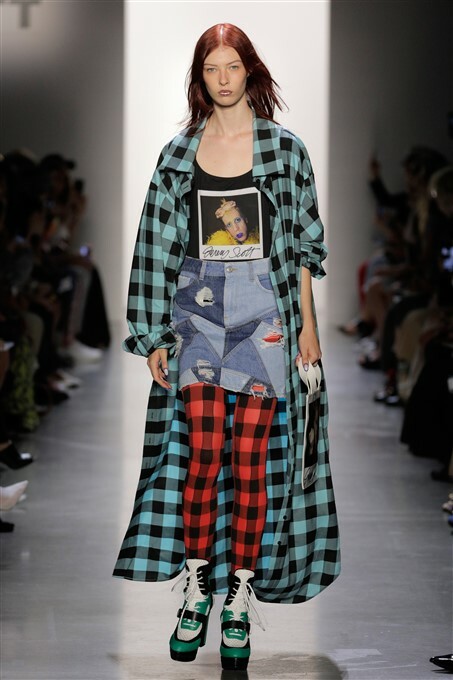 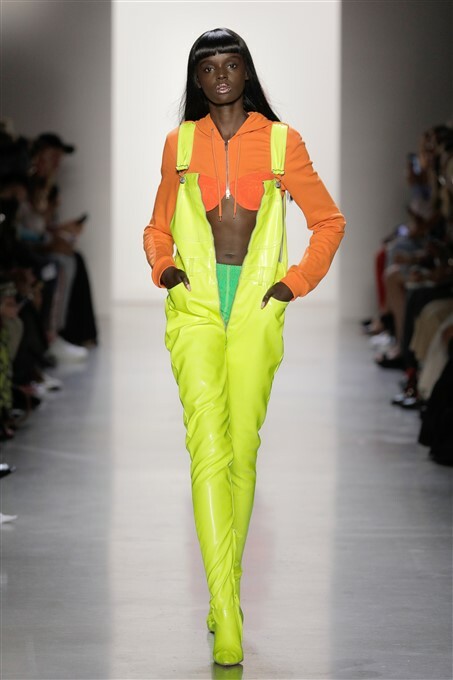 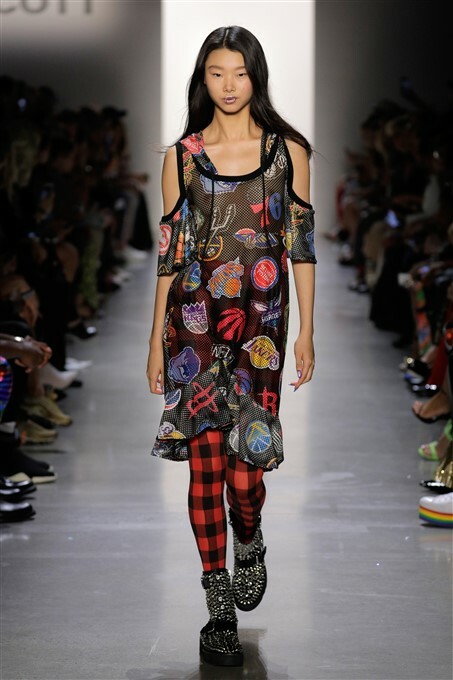 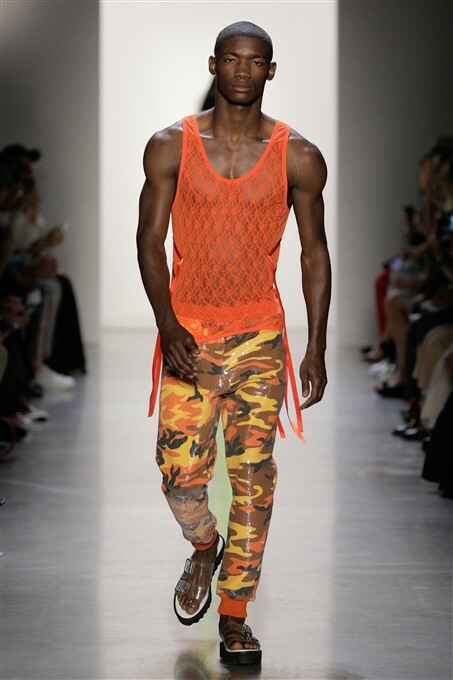 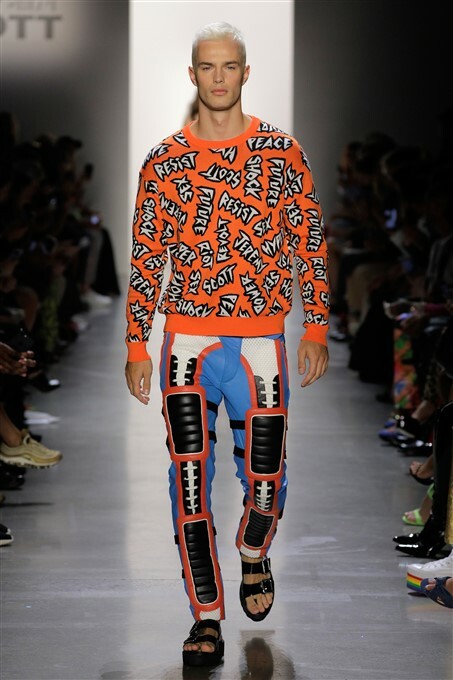 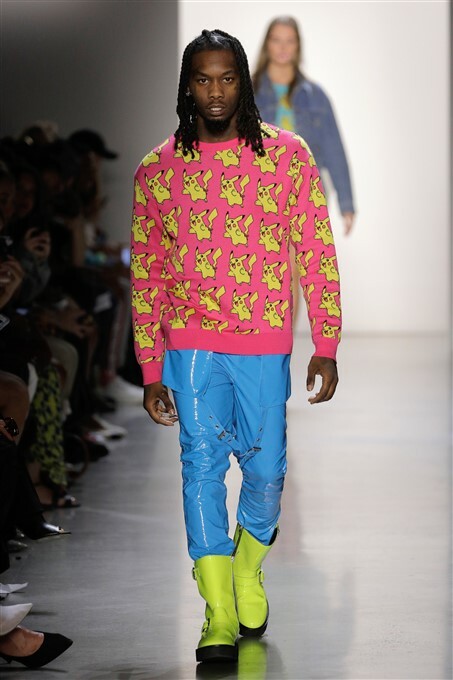 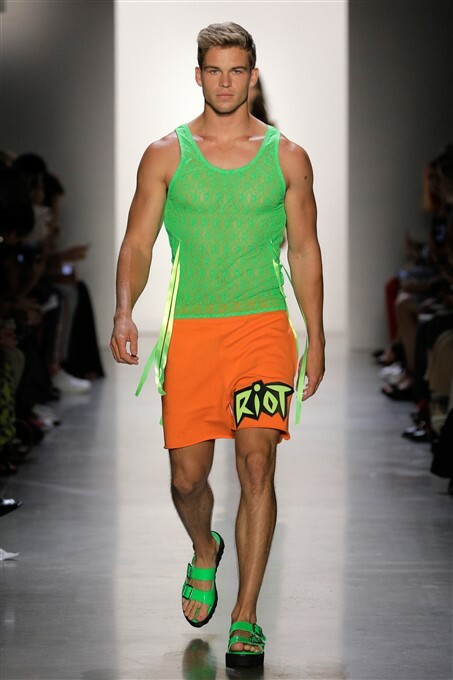 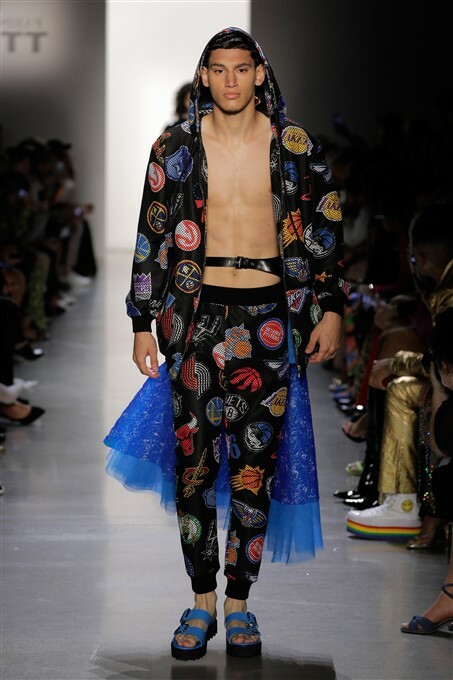 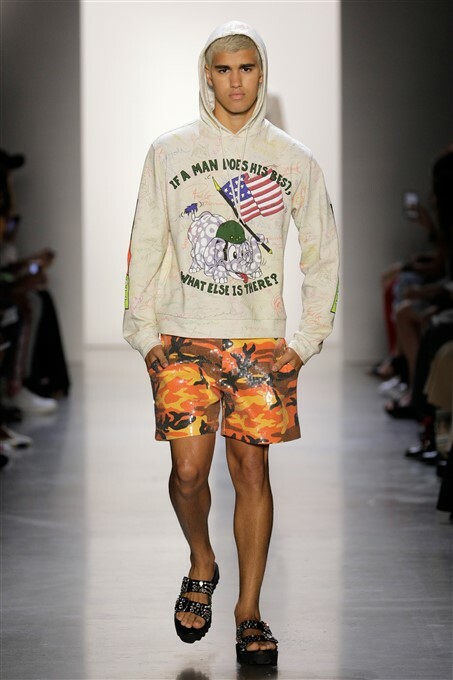 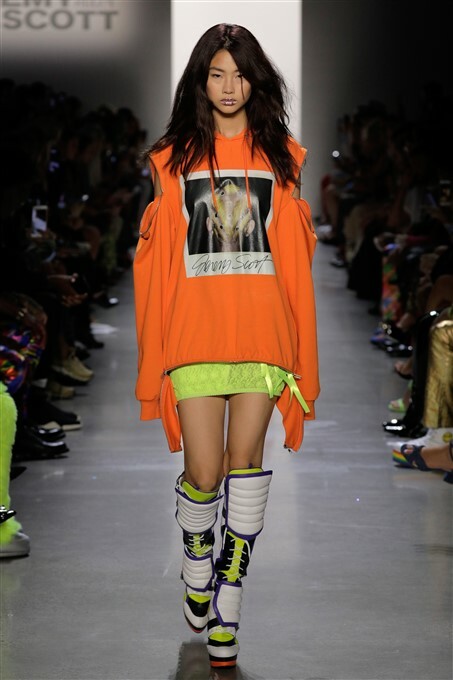 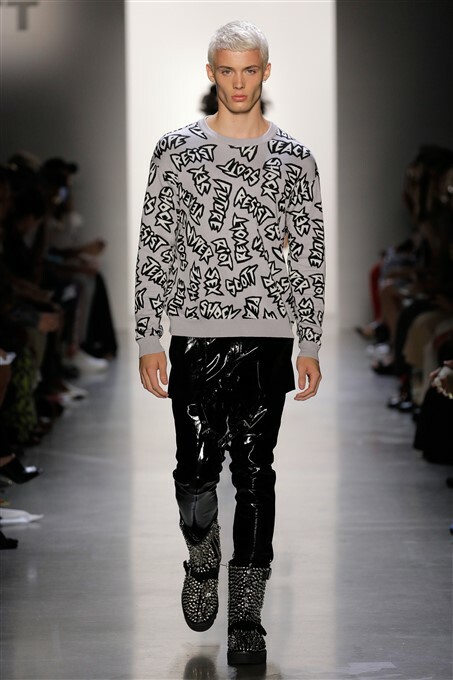 He envisions a day when he will look back on his own interpretations of these archetypal muses; a post-millennial Jeremy Scott referencing influence from a past self who drew inspiration from characters living in another world, in another time. 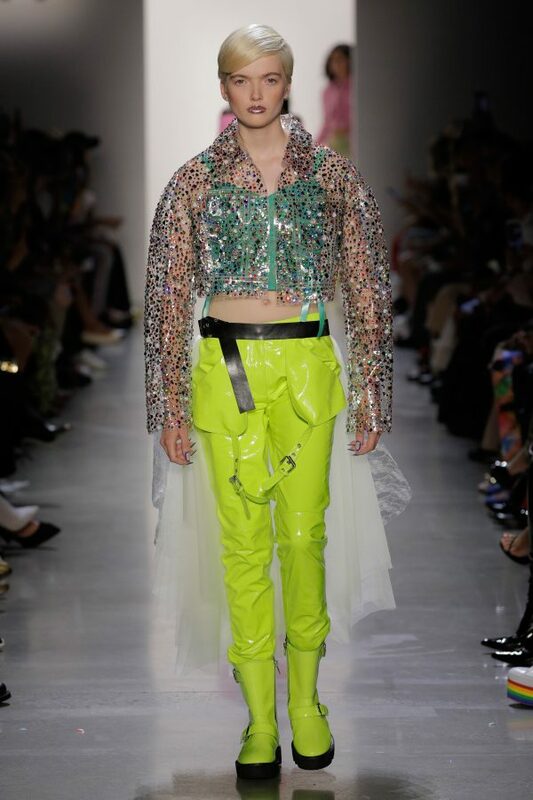 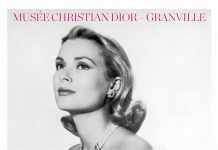 He sees the imminence of a day when the gender bending nature of his looks are not so radically shocking but rather modern, even celebrated. 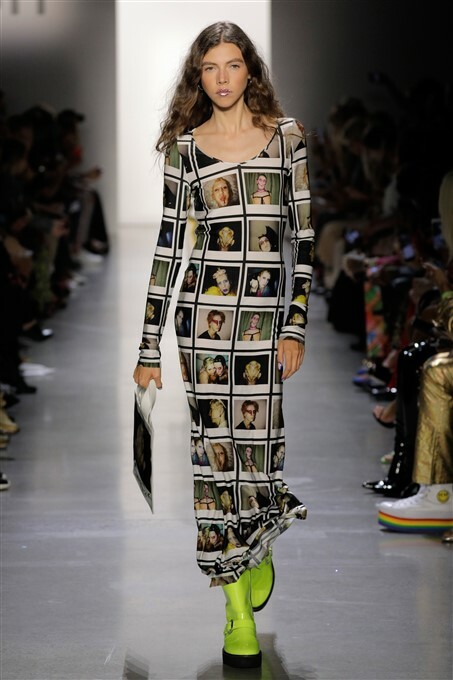 He uses these Polaroids of himself for a mood board as his own “Meta Muse”. 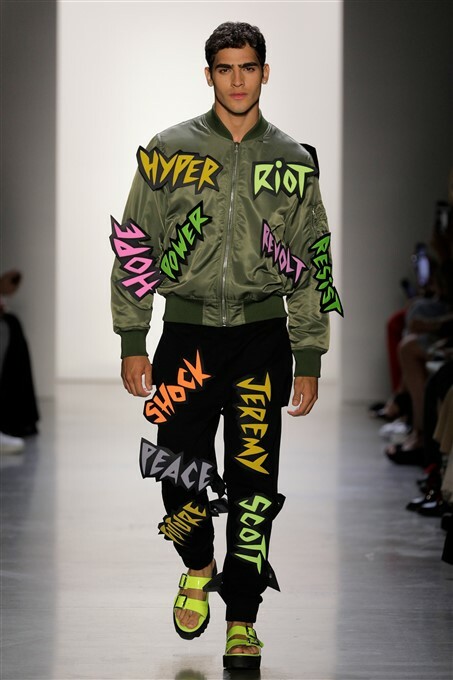 Scott’s vision of the future is a dreamer’s mirror to the past. 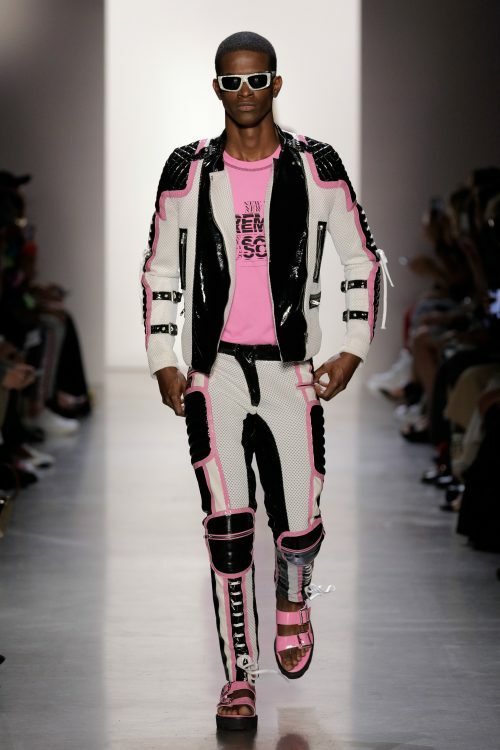 Eclectic patches of neon quilted leather are stitched with sportswear mesh in a series of motocross jackets, boots and trousers. 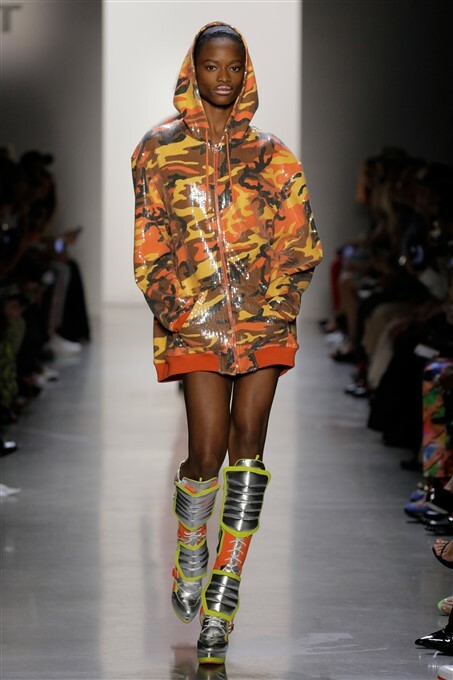 Retro fitted army surplus gear reimagined in athletic silhouettes and high heeled overall boots. 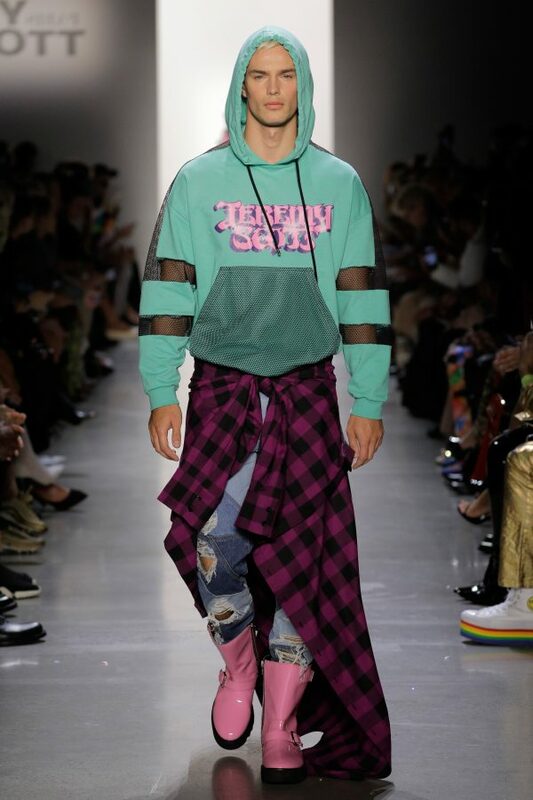 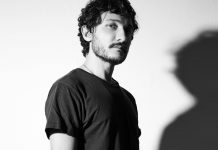 In Scott’s avantgarde future, shadows of the past are layered with the glimmering hope of a tomorrow where the expression of the unfamiliar and bizarre could be considered for the everyday, where authenticity is a cyclical sequence of yesterday’s foreshadowing and today’s nostalgia.